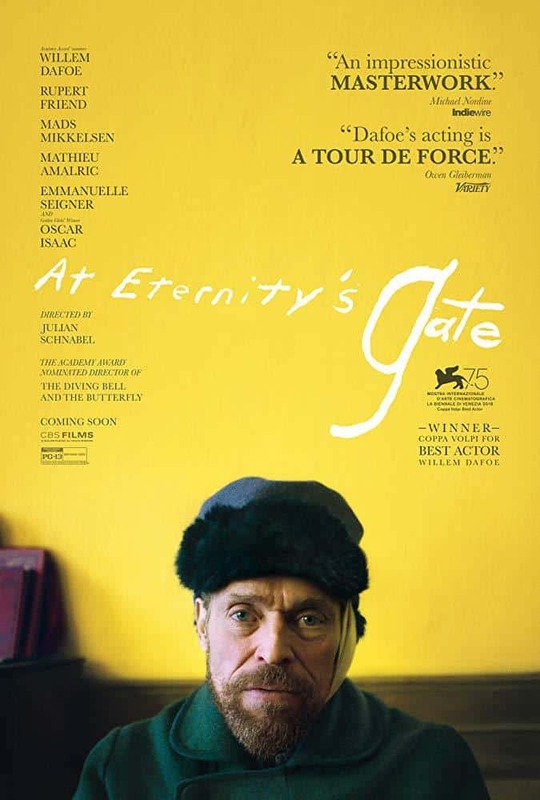 Along with our screening partners Coral Gables Art Cinema, Oolite Arts is pleased to co-present the new film At Eternity’s Gate, the new film by Julian Schnabel that takes a fresh look at the last days of Vincent Van Gogh. Starring Willem Dafoe, At Eternity’s Gate is a journey inside the world and mind of a person who, despite skepticism, ridicule and illness, created some of the world’s most beloved and stunning works of art. This is not a forensic biography, but rather scenes based on Vincent van Gogh’s letters, common agreement about events in his life that present as facts, hearsay, and moments that are just plain invented. The evening begins with a red carpet reception at 6:00 pm, along with light drinks and hors d’oeuvres. Following the 7 pm screening, Oolite Arts President and CEO Dennis Scholl will join Coral Gables Art Cinema’s Director of Programming Nat Chediak to moderate a Skype Q&A with writer and director Julian Schnabel. Willem Dafoe won Best Actor award at the Venice Film Festival for this performance, and At Eternity’s Gate was the Closing Night Film at the New York Film Festival. 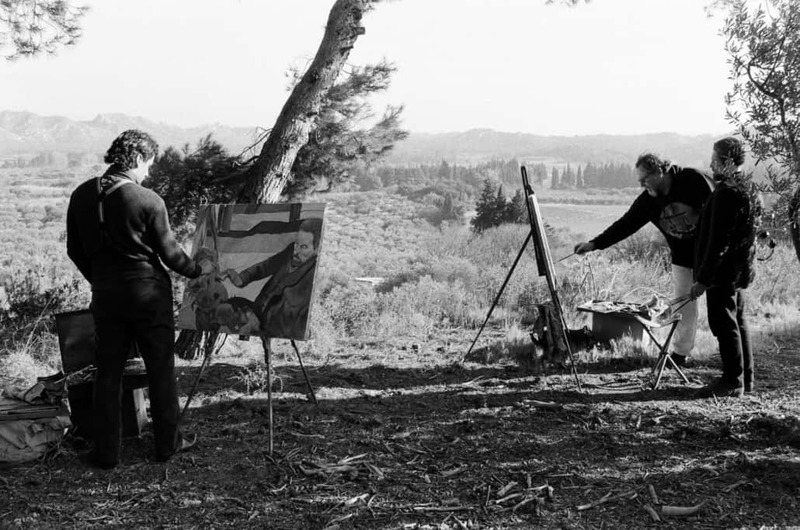 “This is a film about painting and a painter and their relationship to infinity. It is told by a painter. It contains what I felt were essential moments in his life, this is not the official history – it’s my version. One that I hope could make you closer to him.” – director Julian Schnabel.